The structure of the blood vessel wall has historically been studied using thin cut sections using standard histological stains. In the mid-80s laser scanning confocal microscopes became available and offered investigators the chance to examine the 3D structure of thicker sections (i.e. ~60 μm depth penetration for a typical vascular wall). Unfortunately, desktop computers lagged far behind in their capacity to process and display large 3D (confocal) data sets. Even extremely highly priced graphics workstations of the early to mid-90s offered little in the way of flexible 3D viewing. Today’s gaming PCs provide the kind of processing power that 3D confocal users have been waiting for. Coupled with high end animation software, virtual reality and game design software, we now have the capacity to exploit the huge data sets that modern microscopes can produce. 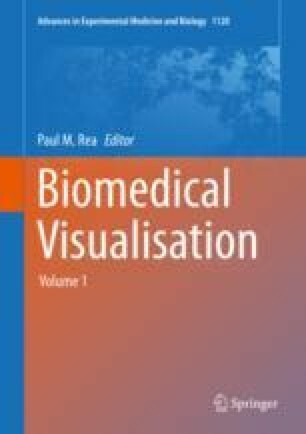 In this chapter, the vascular wall will be used as an example of a biological tissue that can benefit from these developments in imaging hardware and software.